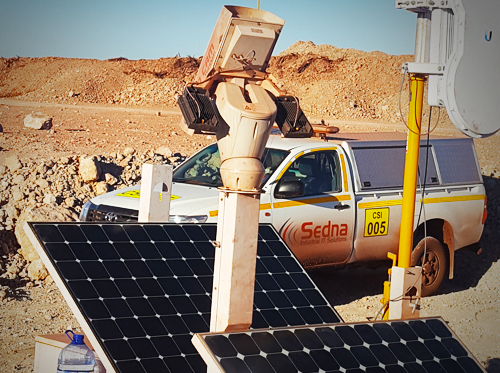 Sedna’s Geo-Cam is a robust and mobile extension of your IP surveillance network. 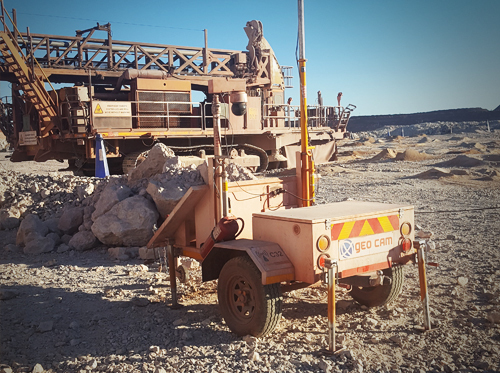 Geo-Cam allows for monitoring of operations within environments such as opencast mines where there is no cabling infrastructure. It is robust, stainless steel, mobile and solar powered. 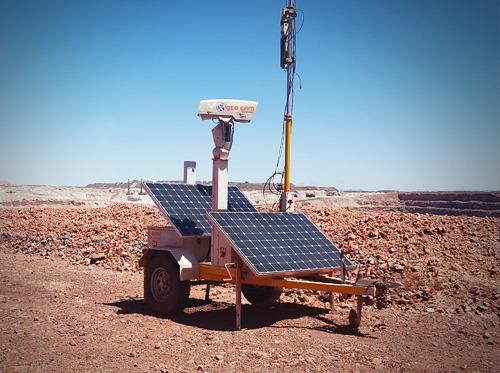 The Geo-Cam communicates via industrial wireless LAN. The camera can be controlled (Pan, Tilt, Zoom) remotely via the WLAN connection allowing management to keep tabs on their remote operations from the comfort of their offices. The Geo-Cam is constructed from laser cut and precision bent corrosion resistant 3CR12 steel. The trailer is road legal and can be registered if necessary. The pneumatic mast is manufactured from aluminum and is easily extended to 3.7m by using the hand pump. 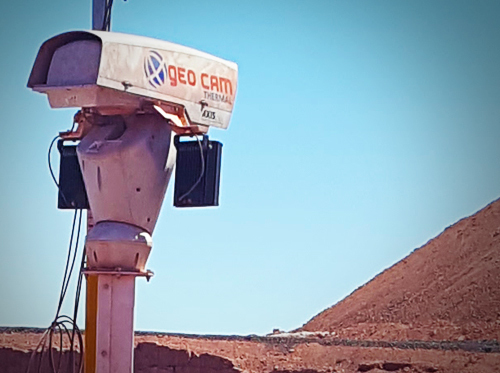 The Geo-Cam can be easily deployed by one person in approximately 15 minutes. The power system is designed to allow for 48 hours of continuous operation without charging. It comprises a high efficiency 220W panel, an intelligent solar controller and deep cycle batteries. 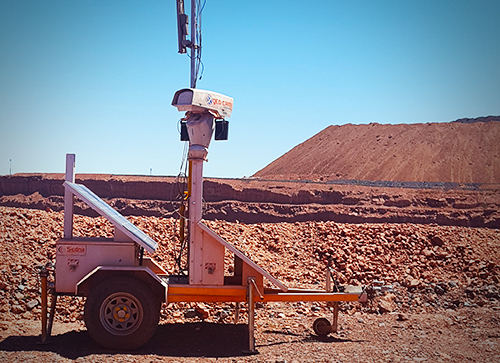 The Geo-Cam ships with an industry standard WLAN client which complies with the 802.11 a/b/g/n standard (depending on the standard which is used on your site). This allows for high speed Ethernet communication to the WLAN network for control of the camera and video feed. The Geo-Cam can be ordered with or without the camera (i.e. without the camera it is a WLAN repeater) and with any WLAN radio to match your current infrastructure.